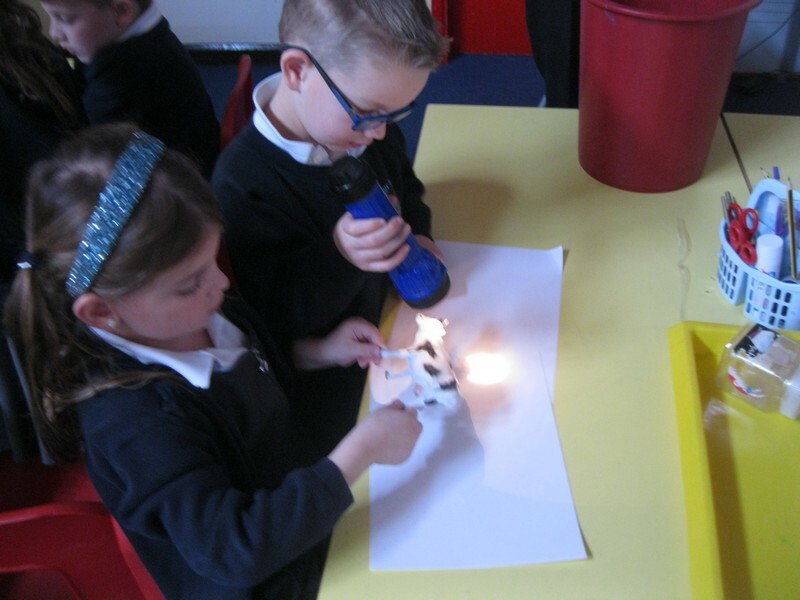 As part of our Science topic, Year 1 Puffins have been learning about Light and Dark. 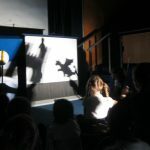 Today they have been exploring what shadows are and how to make them. 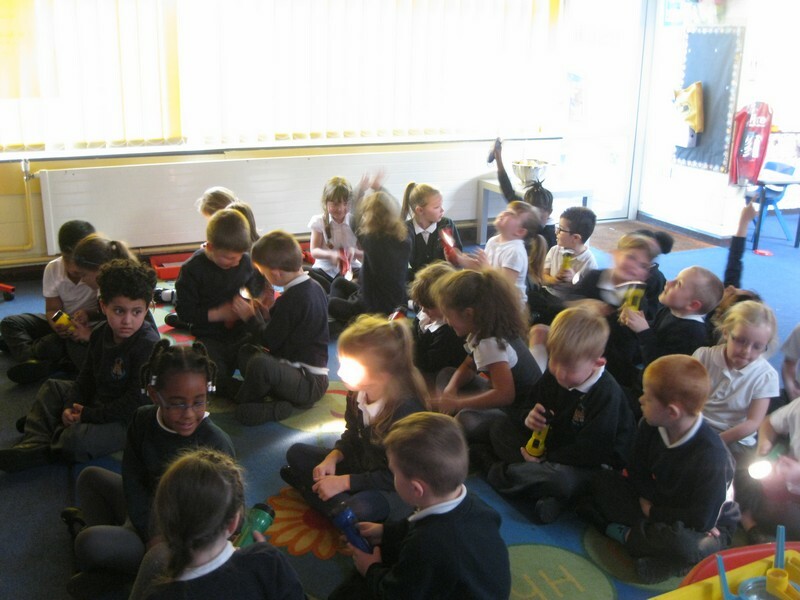 We have been exploring our eyes this week. 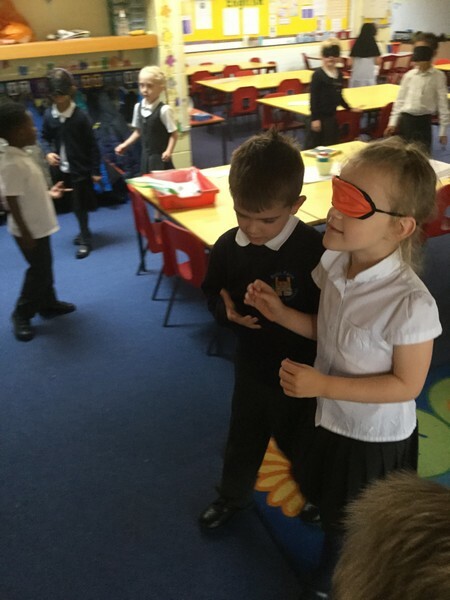 Today we have focussed on sight learning all about how the eye works. 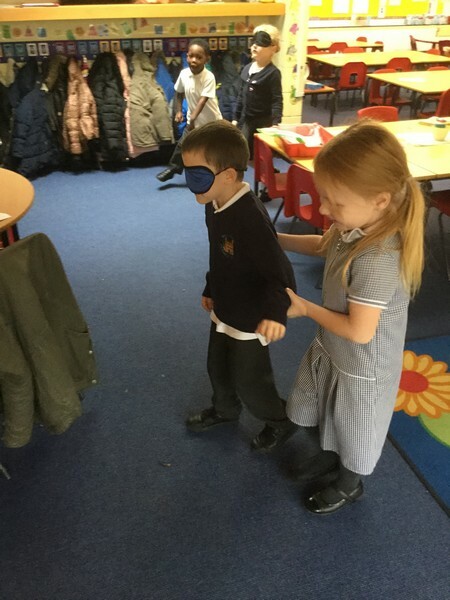 We also explored how we would feel if we had no sight. 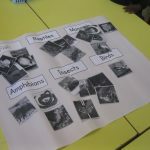 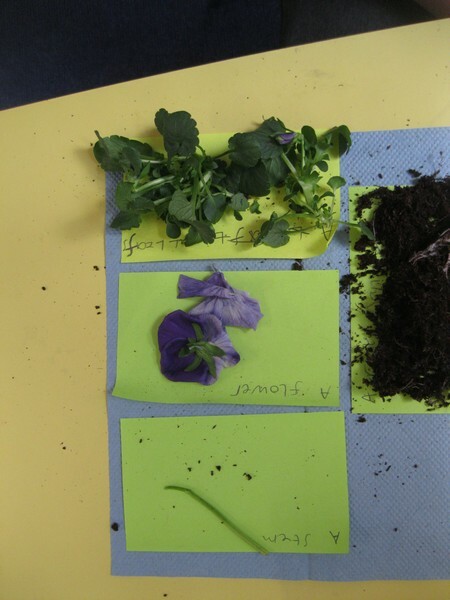 Today the children have starting their science topic on Animals. 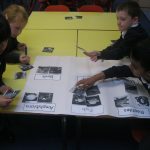 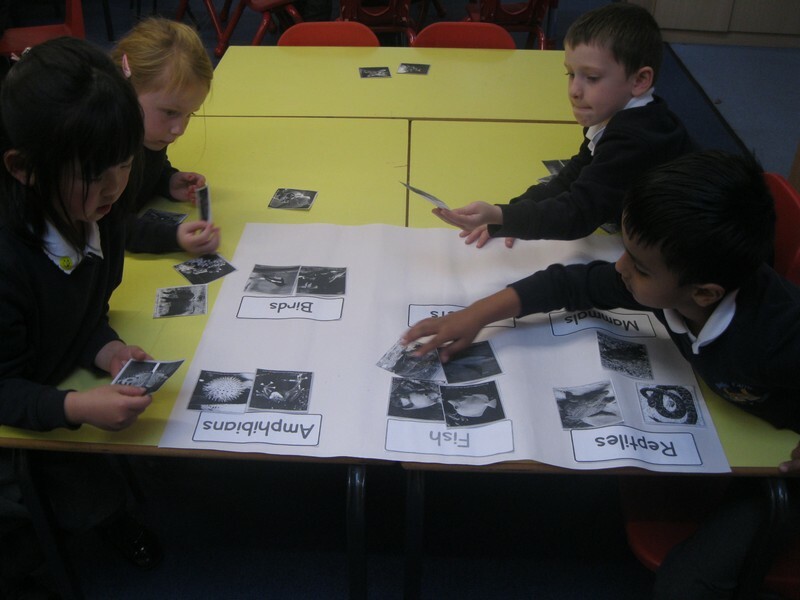 As part of the introduction to this topic they have been classifying animals into the given groups. 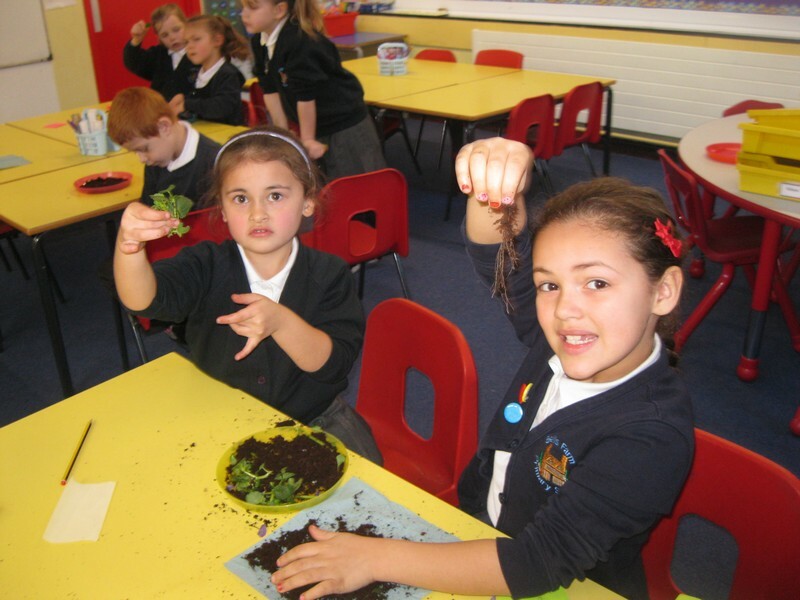 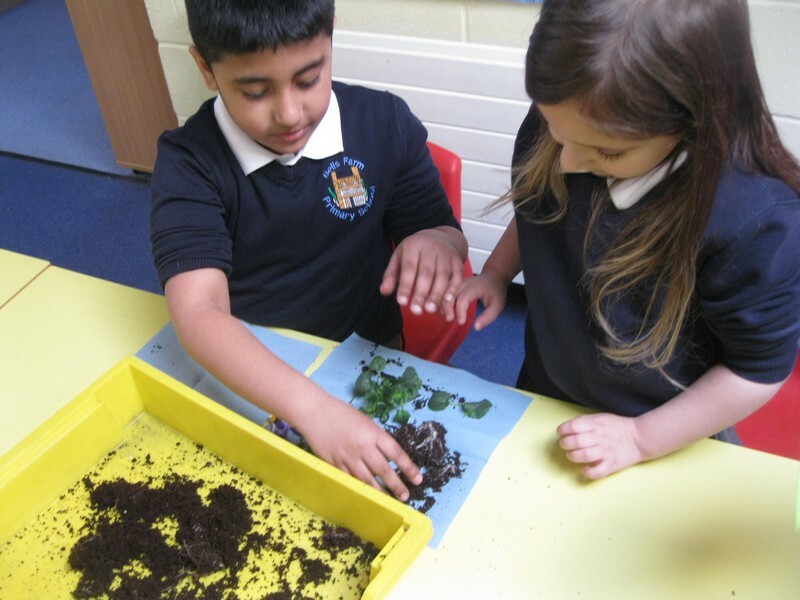 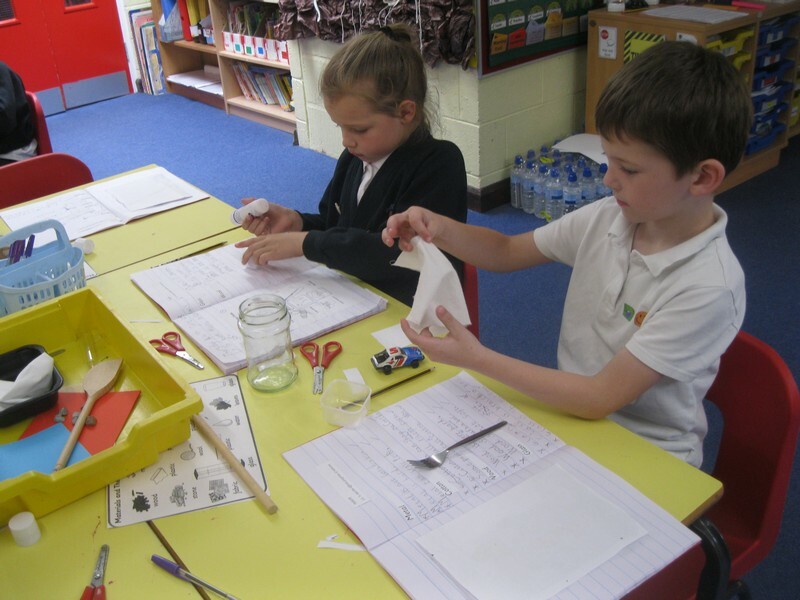 As part of Science, Puffins have been learning about materials. 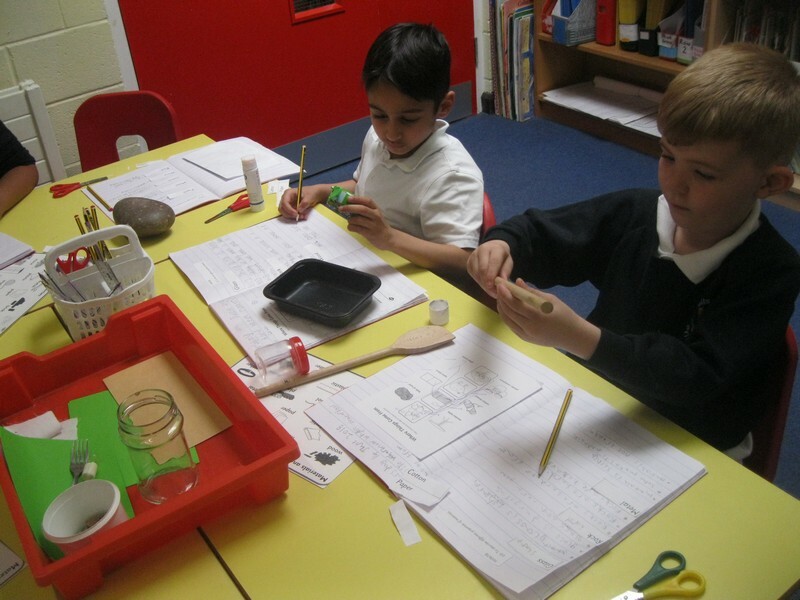 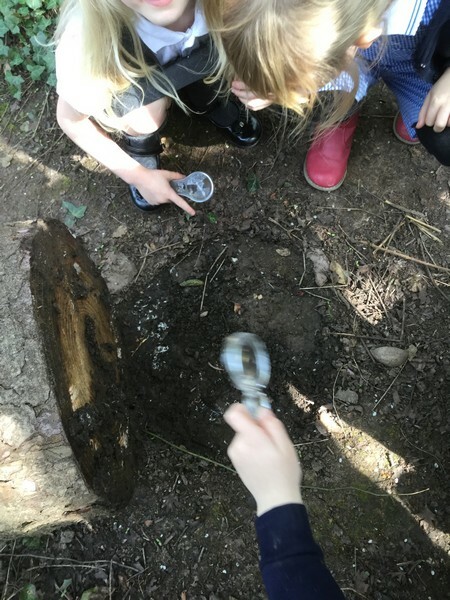 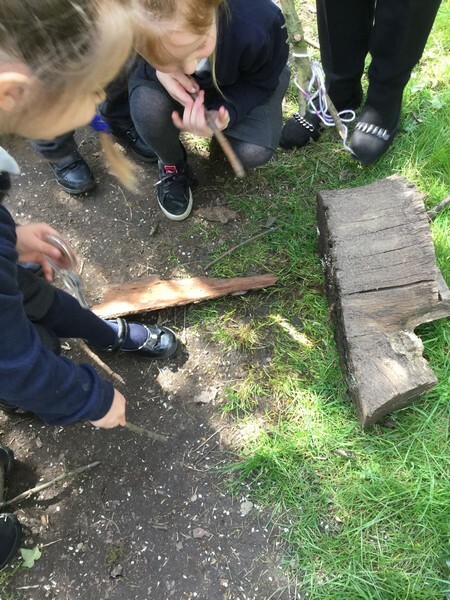 Today they have been exploring the properties of different materials and discussing what materials would be fit for different purposes and why. 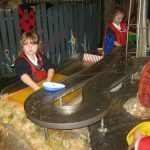 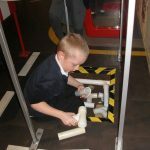 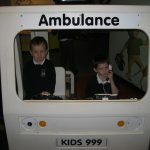 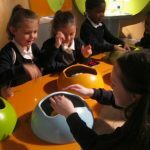 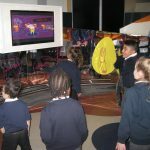 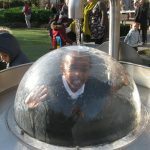 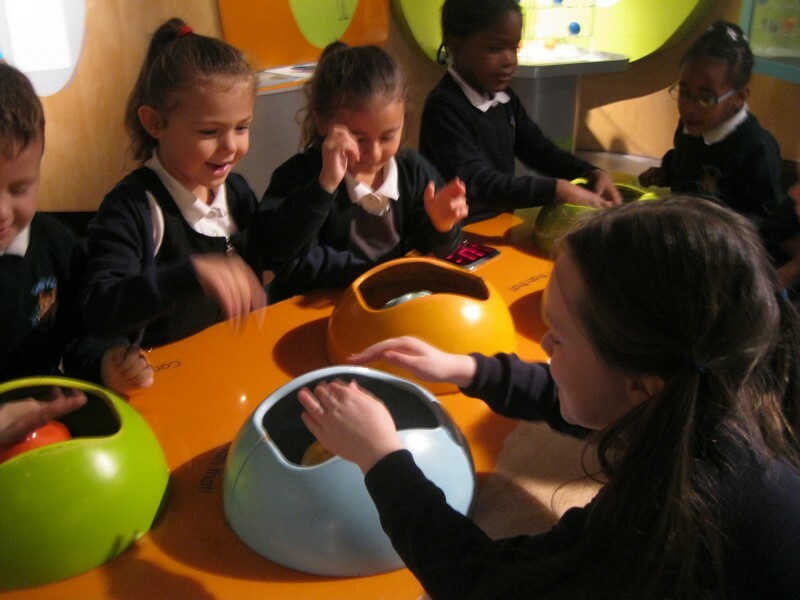 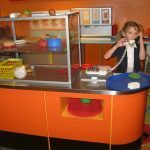 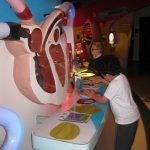 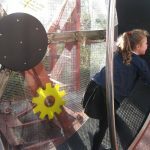 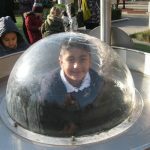 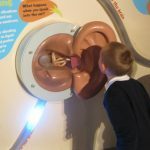 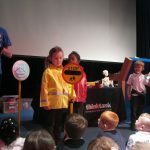 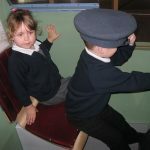 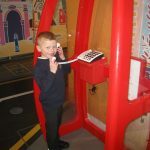 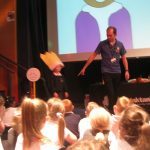 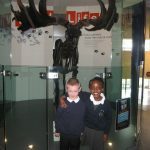 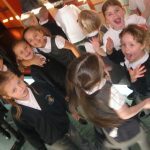 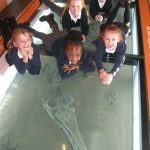 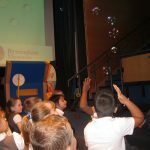 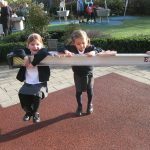 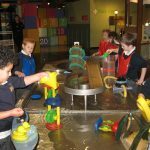 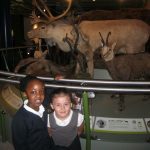 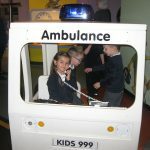 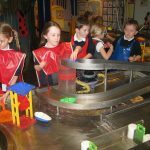 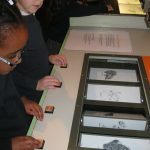 What a fantastic day we have had at the ThinkTank! 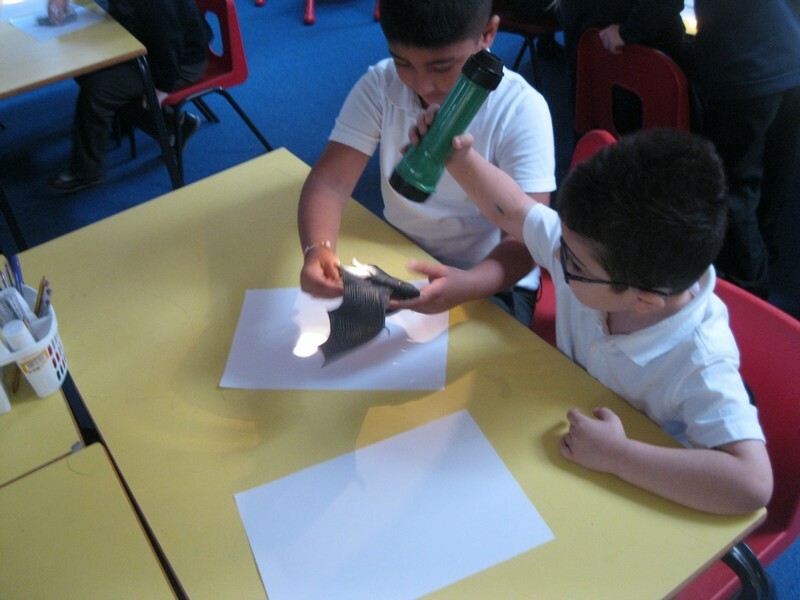 We saw lots of amazing things and joined in a great lesson all about Light and Dark. 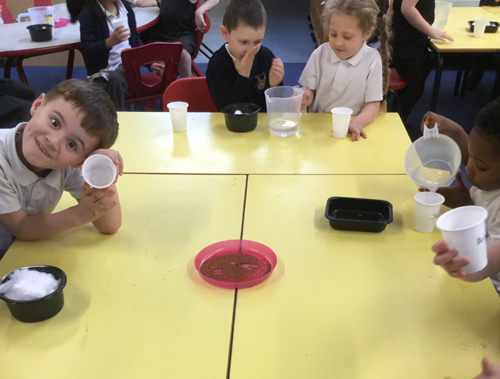 Thank you to the fab parent volunteers for their hard work. 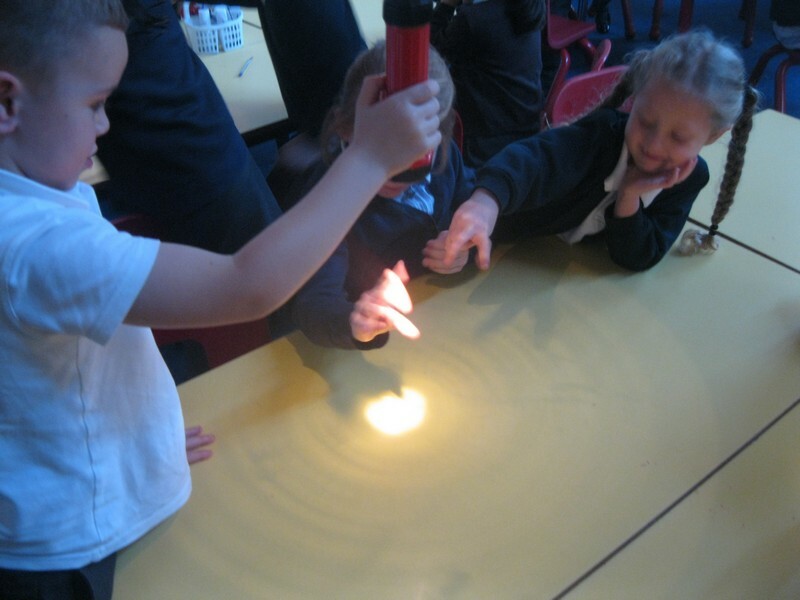 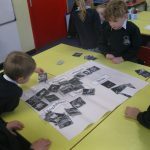 The Puffin class are continuing the science theme of light and dark this week. 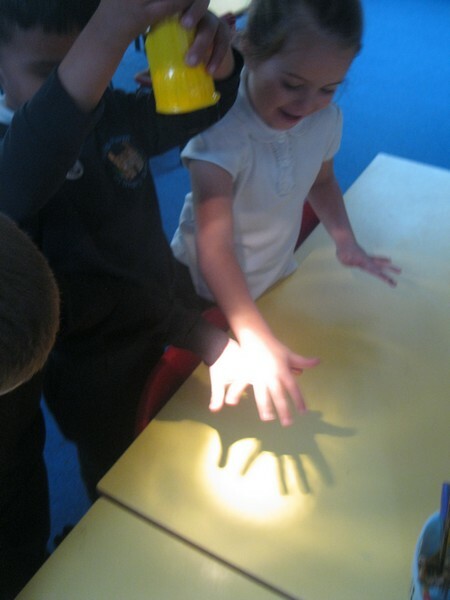 Today they have been exploring how shadows are created. 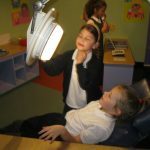 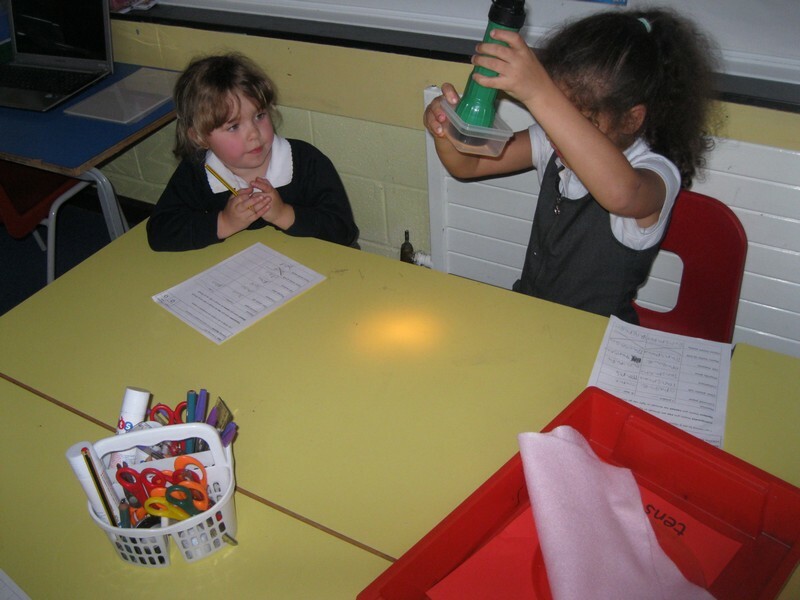 In our science lesson today we have experimented with light and objects to see. 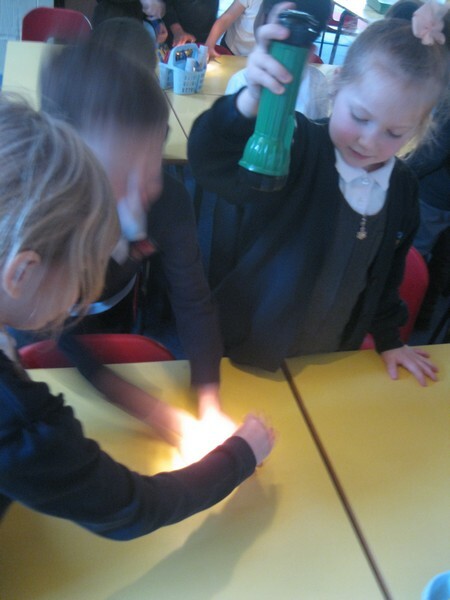 First we made our predictions and then we tested which materials were opaque and which materials were transparent.